ARRA News Service: Sen. Tom Cotton (R-AR) has officially introduced the Reforming American Immigration for Strong Employment (RAISE) Act, S. 354, in the Senate. The bill would reduce legal immigration by up to 50% by ending future chain migration and the diversity visa lottery. Roy Beck, President and Founder of NumbersUSA responded saying, "the RAISE Act has a number -- S. 354 -- and one that we will do all possible to ensure that lives on through history as one of the great achievements of this period of our country." The RAISE Act would reduce legal immigration to the United States by 50% in an effort to diminish its impact on vulnerable American workers. First, it eliminates the visa lottery and limits refugee admissions to 50,000 per year, removing the ability of the President to unilaterally adjust upward refugee admissions. Further, it eliminates chain migration by limiting family-sponsored immigration to the spouses and minor children of U.S. citizens and legal permanent residents. While U.S. citizens maintain the ability to sponsor nuclear family members without numerical limitation, the worldwide level of family-sponsored immigration is reduced from 480,000 to 88,000 to account for the elimination of the extended-family categories. Finally, a new nonimmigrant visa category is created for parents of adult U.S. citizens. Under this new category, sponsored alien parents would receive a renewable 5-year visa, but must be financially independent or supported financially by the adult son or daughter, as the visa does not authorize the alien to work or receive any form of public benefit. Tags: U.S., Senator, Tom Cotton, R-AR, Raise Act, S. 354, visa lottery reduce legal immigration, ends Visa Lobby, caps refugee admissions, chain migration To share or post to your site, click on "Post Link". Please mention / link to the ARRA News Service. and "Like" Facebook Page - Thanks! Baby, The Rain Must Fall, The Wind Must Blow. And Congress Must Spend! Most voters don’t pay federal income tax, or pay very little. They don’t feel personally impacted by government spending, because they think the money is extracted from somebody else – the “rich guys”. Members of Congress (especially Democrats who rely on low-income or no-income voters to keep them in office) are heroes to their constituents when they spend more money. In fact, incumbent legislators are almost always re-elected because they can brag about “bringing home the bacon” to their home districts. Americans don’t worry about spending more money because there doesn’t seem to be any down-side. Unlike families or businesses, the government never runs out of money, regardless of tax revenue or spending levels. Our leaders have learned that they can print and/or borrow money without limit, because nobody has the courage to shut down the government and send employees home. Yes, we have a $20 trillion debt. Yes, interest on savings has been non-existent for many years. Yes, wages have been stagnant for decades as the government crowds out private enterprise, gobbling an ever-growing bite of the GDP pie. Yes, if continued it will all come crumbling down on the heads of our children and grandchildren. But the average Joe still doesn’t relate government spending to his own financial well-being. In fact, most people think more government spending helps them. And when you get right down to it, our congressmen are only doing what they were born to do. The job description of a legislator can be boiled down to four words. What do you do for a living? Spend other people’s money. The rain falls. The wind blows. Congressmen spend. It is existential. In the eyes of a government official, the solution to every problem is to spend more money. If he isn’t spending money, he is a “do nothing” congressman. Fortunately, the election showed that there are still (barely) enough Americans with a grasp on reality to step on the brakes before our nation careens off the financial cliff, taking the civilized world along for the plunge. Our voices were finally heard. But the narrow victory last November was just the beginning. Too many of our leaders either still don’t get it, or will soon forget that they got it. We may have stopped at the edge of the cliff. But the cliff is still there. We can’t eliminate all government spending, and in some strategic areas we will have to invest more than we have in recent years. But it’s childish and dangerous to think that all of our current expenditures are still necessary and untouchable, and our only option is to spend more. They are what they must be. Baby, I must go. Baby I must go. Tags: Tom Balek, Rockin' On The Right Side, Baby, The Rain Must Fall, The Wind Must Blow. And Congress Must Spend! To share or post to your site, click on "Post Link". Please mention / link to the ARRA News Service. and "Like" Facebook Page - Thanks! by Gary Bauer, Contributing Author: Trump's Prediction - During yesterday's White House press conference, President Trump berated the media for its dishonesty and hateful tone. He spoke for nearly 80 minutes and covered a wide range of topics. He also predicted that the media would grossly distort the press conference. The president said, "Tomorrow they will say 'Donald Trump rants and raves.' I'm not ranting and raving." Shepard Smith of Fox News said, "It is crazy what we are watching every day, it is absolutely crazy." CNN's Jake Tapper called the press conference "wild" and "unhinged." NBC's Chuck Todd whined that Trump's press bashing is "un-American." That's odd. I don't remember this kind of media outrage when Obama repeatedly attacked Fox News or bugged reporters' phones. CBS News ran an "exaggeration check" during last night's broadcast. So now we've gone from fact checks to exaggeration checks. I suppose that could be helpful. We wouldn't want a president to claim that he was going to stop the rise of the oceans and heal the planet. . . Oh, wait! That's what Obama did. Still waiting for the CBS "exaggeration check" on that one. Nevertheless, a few commentators did admit that yesterday's press conference played very well in Trump's America, and, let's face it, that's pretty much everywhere between New York City and Los Angeles! Tomorrow, President Trump is going to hold a rally in Melbourne, Florida. The press would love nothing more than to say that the crowd was noticeably smaller than during the campaign. To our friends in Florida: The president needs a big turnout. If you can make it, please go! But you must register online. More Fake News - Did you hear about the latest "victim" of the Trump immigration raids? That individual checked all the left-wing boxes -- minority, undocumented, abuse victim, even transgendered. Needless to say, the case made headlines everywhere. Here's one example, "ICE Arrests Domestic Violence Victim at Texas Courthouse." Terribly cruel of the Trump Administration, right? That's certainly what the left and its media allies want you to believe. But the headline is grossly misleading. Buried deep in the reports, if it was mentioned at all, is the fact that this "victim" has a lengthy criminal record for "assault, probation violation, domestic violence, false imprisonment of a minor." Oh, and he/she has already been deported six times! Is this the face of left-wing progressivism now? Forget the coal miner. Forget our veterans. Forget struggling middle class families. Forget black children trapped in gang-infested, failing schools. The left will fight to the death for transgendered illegal immigrant criminals! Progress Report - Late yesterday afternoon, the House of Representatives approved a resolution reversing a radical pro-abortion regulation by the Obama Administration. Drafted during his final days in office, Barack Obama issued a regulation that effectively forced states to provide funds to Planned Parenthood. 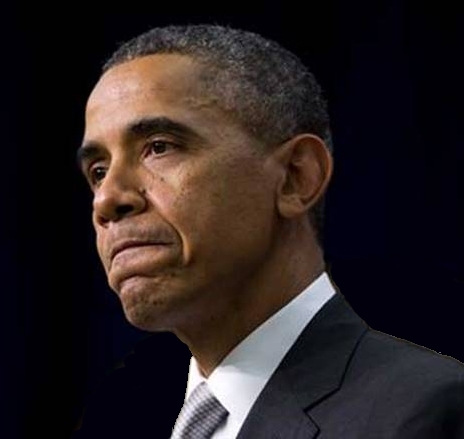 After more than a dozen states took steps to cut off taxpayer funding to the nation's largest abortion business, the Obama White House stepped in and stepped on the separation of powers between the states and the federal government. I am pleased to report that the GOP-led House did not hesitate to use its authority under the Congressional Review Act to repeal Obama's outrageous pro-abortion mandate. The resolution, authored by Rep. Diane Black (R-TN), must now be approved by the Senate. Thankfully, it is not subject to a filibuster. Speaking of the Congressional Review Act, President Trump yesterday signed a law repealing another Obama regulation that devastated the coal industry. Joining the president at the signing ceremony were senators from various coal states, including Sen. Joe Manchin (D-WV), along with coal workers and company executives. What many liberals do not appreciate is just how crucial the coal industry is. Not only does coal provide a leading source of electricity for the country, but in some areas it is the leading, perhaps only, industry as well. When coal jobs in those areas are lost, everything else suffers too. By the way, it was reported today that Secretary of State Rex Tillerson has begun "cleaning house" at the State Department. Several staffers on the building's top floor -- where senior-level managers work -- were fired yesterday. Poll Position - Here are some recent poll results you may have missed. For all the media's hyperbolic criticism, President Trump is holding his own. 55% of likely voters approve of President Trump's job performance. 54% of likely voters believe that policies which allow an increasing number of immigrants and refugees from predominantly Muslim nations, some of which are failed states, represent an increased risk to the national security of the United States. Just 33% of voters disagree. In other words, President Trump's much-derided executive order, which left-wing judges blocked, is a 21-point winning issue for the president. Are you ready for 2020? Well, the left just can't wait. And it is already conducting polls pitting its favorite candidate -- Sen. Elizabeth Warren (D-MA) -- against President Trump. 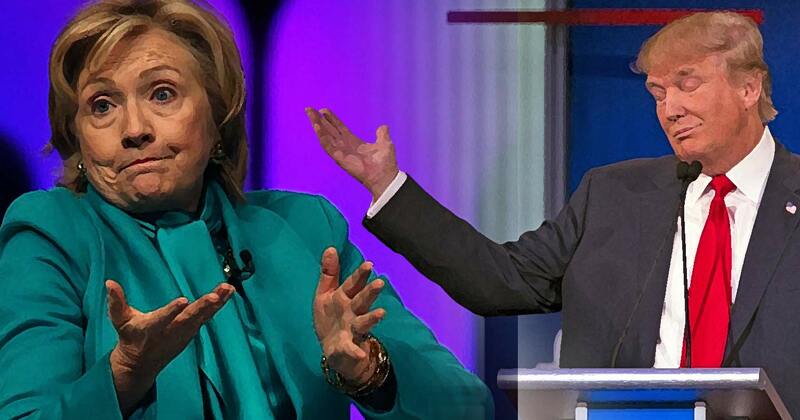 Warren is the obvious choice -- the perfect combination of Bernie Sanders and Hillary Clinton. With Warren you get both socialist policies and gender identity politics! But the left might have to reconsider. According to a poll released Wednesday, Trump would defeat Warren 42%-to-36%. Tags: Gary Bauer, Campaign for Working Families, President Trump's Prediction, More Fake News, Progress Report, Poll Position To share or post to your site, click on "Post Link". Please mention / link to the ARRA News Service. and "Like" Facebook Page - Thanks! by Todd Starnes: By all accounts David Kriehn, of Noblesville, Indiana was a good person. He was a gentle and caring man. Mr. Kriehn was a former missionary – who managed Famous Dave’s, a popular barbecue joint near Indianapolis. He was the kind of leader who put others ahead of himself – a great American. He was killed by an illegal alien. State police believe Elizabeth Vargas-Hernandez was traveling at a high rate of speed when her SUV rammed into Kriehn's car. Investigators say Hernandez smelled of alcohol and failed a field sobriety test. They suspect the 35-year-old and her three passengers had just left a bar. Tags: Todd Starnes, illegal alien, drunk, driving, kills, Indiana Grandfather, David Kriehn To share or post to your site, click on "Post Link". Please mention / link to the ARRA News Service. and "Like" Facebook Page - Thanks! by Phil Kerpen, Contributing Author: Today in a bipartisan 52 to 46 vote, the Senate confirmed Oklahoma Attorney General Scott Pruitt to head the EPA! Democrat Senators Joe Manchin (W.V) and Heidi Heitkamp (N.D.) vote for Pruitt while Republican Susan Collins of Maine voted against him. This is HUGE news — no longer will we have an administration that puts radical environmentalists ahead of American families. While Obama rammed through policies intentionally designed to make your electric bill “necessarily skyrocket,” Scott Pruitt’s EPA will be focused on pragmatic environmental protection, while growing American jobs and wages. 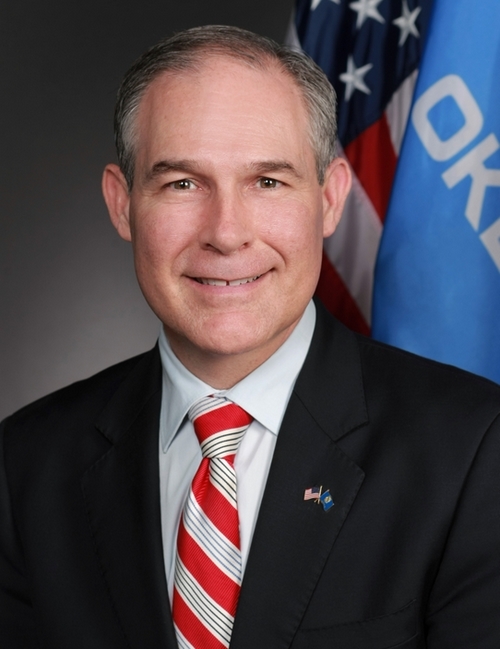 Environmental groups worked relentlessly to derail his confirmation, but American Commitment members like you were ready on a moment’s notice and sent thousands of letters to the Senate in support of Scott Pruitt. And just as with the recent confirmation of Health and Human Services Secretary Tom Price, our efforts made a huge difference in winning another key confirmation battle! Pruitt’s confirmation means that the EPA will finally get the cleanup it desperately needs and your action truly made a difference. Tags: Phil Kerpen, American Commitment, Scott Pruitt, confirmed, EPA, Administrator To share or post to your site, click on "Post Link". Please mention / link to the ARRA News Service. and "Like" Facebook Page - Thanks! by Nick Cunningham: Oil prices have traded reliably in the $50s per barrel since OPEC agreed to cut production last November, but having failed to break through a ceiling in the upper-$50s, crude prices are in danger of falling back again. 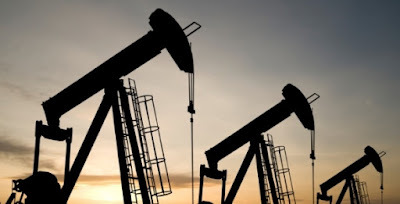 The oil market had wind in its sails on expectations of substantial drawdowns in inventories following the pending cut of a combined 1.8 million barrels per day (1.2 mb/d from OPEC plus nearly 0.6 mb/d from non-OPEC countries). Indeed, the IEA reports that oil inventories in OECD countries have declined for five consecutive months, although they still stand above the running five-year average. Meanwhile, in the U.S. oil inventories have actually increased significantly so far in 2017. The shockingly high compliance rate that OPEC has thus far achieved this year, one would think, should have pushed oil prices up much higher. But crude prices have barely budged since several key market watchers, including S&P Global Platts, the IEA and OPEC, put out similar numbers that show OPEC countries have achieved a roughly 80 to 90 percent compliance rate, much higher than analysts thought would be possible from the contentious group. If OPEC took 1 mb/d off the market in January, why are prices struggling to move from the low- to mid-$50s? Of course, rising U.S. production is part of the story. 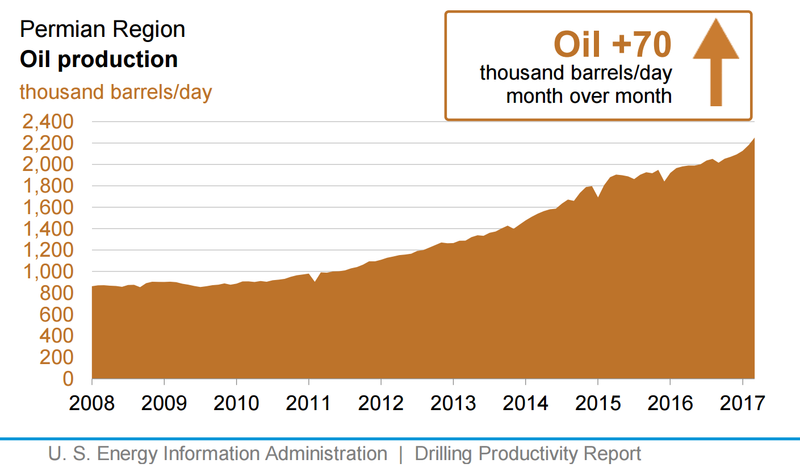 The latest weekly EIA data puts U.S. output at 8.978 mb/d, a touch below 9 mb/d, which is up more than 400,000 bpd from a few months ago. 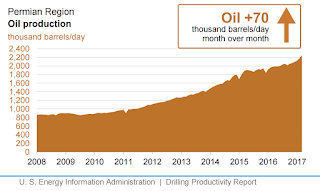 In addition, the EIA’s Drilling Productivity Report estimates that production from the major shale basins will rise in March by nearly 80,000 bpd, the largest increase in five months. Nearly all of that increase is expected to come from the Permian Basin. But on top of rising U.S. output, OPEC’s cuts are less impressive than they might seem. Output from Libya is up more than 100,000 bpd from November and up nearly 0.5 mb/d from its lowest point last year, with more gains to come. Nigeria also threatens to sabotage the OPEC deal if it restores around 0.5 mb/d of disrupted supply. Moreover, Saudi Arabia ramped up output just ahead of the deal, blunting the impact of its cuts – it cut from a historically high levels. Also, Iran was allowed to increase production slightly, and Iraq, the other major producer in OPEC, is falling short of its pledged cuts. As for non-OPEC countries, Russia has only lowered output by 100,000 bpd compared to its promise of a 300,000 bpd reduction. At any rate, Russia cut from post-Soviet record highs as well. In short, OPEC has indeed achieved a very high level of compliance, but the underlying math is not all it seems to be. OPEC succeeded in sparking a highly bullish mood in the oil market, but oil traders and investors are starting to catch on to the fact that there are still supply overhang problems in the market. That creates a downside risk to prices in the very near future. Hedge funds and money managers have amassed the most bullish combined position in years, with everyone going long on oil, betting that $60 was around the corner. With prices now being met with resistance, the danger is that more traders start to bail out of those long bets, sparking a sudden correction in prices on the downside. "There’s starting to be fatigue about the range we’ve been trading in," John Kilduff, a partner at Again Capital LLC, said in a Bloomberg interview. "It won’t be summer until we break out to the upside." Looking forward, everyone will watch how the same dynamics will continue to play out – bulls will watch for steady OPEC compliance and inventory declines while pessimists will keep an eye out for rising U.S. output and questionable demand from China and India. The market continues its slow and painful adjustment process, which should see more price gains at some point in the future, but the short-term looks more shaky. “There’s a lot of complacency out there. If these bets start to unwind, it will be a bloodbath,” Doug King, chief investment officer at RCMA Asset Management, told the Wall Street Journal in an interview. Nick Cunningham authored this article contributed by James Stafford the editor of OilPrice.com, the leading online energy news site, to the ARRA News Service. Tags: Bloodbath, Looms, Oil Markets, Nick Cunningham, James Stafford, Oilprice.com To share or post to your site, click on "Post Link". Please mention / link to the ARRA News Service. and "Like" Facebook Page - Thanks! Tags: Republicans, Are Moving Quickly, Dismantle, Obama-Era Regulations To share or post to your site, click on "Post Link". Please mention / link to the ARRA News Service. and "Like" Facebook Page - Thanks! by Kerby Anderson, Contributing Author: Events over the last two months illustrate how difficult it is to argue for unhindered abortion rights. Put another way, if you were in a debate competition and were given the assignment to defend abortion, you would know that you would have a more difficult time than the person who was given the assignment to defend the pro-life position. Last month, for example there was the article in The Atlantic with the provocative title: “How Ultrasound Pushed the Idea That a Fetus is a Person.” The article generated lots of Twitter posts like: “How The X-ray Pushed the Idea That We All Have a Skeleton.” Russell Moore said: “On the phone checking in with my 5 sons. But since some of them were first revealed to us by ultrasound, I can’t vouch that they exist.” If that was not enough, the subtitle of the article originally stated that a fetal heartbeat was “imaginary.” The editors later removed that part of the article. The Women’s March in January was a reminder that feminism today isn’t so much about male and female equality as it is about sexual autonomy. This is why we heard so much about a woman’s body. Of course, removing a developing baby is not the same as removing a gall bladder or kidney stones. Removing a cancerous tumor will never have a head, face, hands, and a beating heart. Foundational to the pro-abortion position is a belief that no abortion at any point of the pregnancy should be prevented. So pro-choice advocates find themselves arguing against laws restricting third trimester abortions and partial birth abortion. Even Americans who support some abortion rights are usually repelled by the rhetoric of pro-choice advocates and politicians who cannot even allow laws against abortion at this late stage. You know the pro-life movement is making progress when proponents of abortion rights have to deny science and common sense to defend their position. Tags: Abortion Debate, ultrasounds, baby, pro-life, Kerby Anderson, Viewpoints, Point of View To share or post to your site, click on "Post Link". Please mention / link to the ARRA News Service. and "Like" Facebook Page - Thanks! And what were Flynn’s offenses? “That’s neither illegal nor improper,” writes Lake. Vladimir Putin swiftly declared that there would be no reciprocal expulsions and U.S. diplomats and their families would be welcome at the Kremlin’s Christmas and New Year’s parties. For when Vice President Pence told a TV show that Flynn told him that sanctions did not come up in conversation with the Russian ambassador, a transcript of Flynn’s call was produced from recordings by intelligence agencies, and its contents leaked to The Washington Post. The real crime here, however, is not that the incoming national security adviser spoke with a Russian diplomat seeking guidance on the future president’s thinking. The real crime is the criminal conspiracy inside the deep state to transcribe the private conversation of a U.S. citizen and leak it to press collaborators to destroy a political career. “This is what police states do,” writes Lake. Hence, suddenly, we read reports of a Russian spy ship off the Connecticut, Delaware and Virginia coasts, of Russian jets buzzing a U.S. warship in the Black Sea, and Russian violations of Reagan’s INF treaty outlawing intermediate-range missiles in Europe. For violating their oaths and breaking the law, bureaucratic saboteurs are hailed as “whistleblowers” while the journalists who receive the fruits of their felonies put in for Pulitzers. Now if Russians hacked into the DNC and John Podesta’s computer during the campaign, and, more seriously, if Trump aides colluded in any such scheme, it should be investigated. But we should not stop there. Those in the FBI, Justice Department and intelligence agencies who were complicit in a conspiracy to leak the contents of Flynn’s private conversations in order to bring down the national security adviser should be exposed and prosecuted. An independent counsel should be appointed by the attorney general and a grand jury impaneled to investigate what Trump himself rightly calls “criminal” misconduct in the security agencies. Our own CIA has a storied history of interfering in elections. In the late ’40s, we shoveled cash into France and Italy after World War II to defeat the Communists who had been part of the wartime resistance to the Nazis and Fascists. The president and GOP should get out front here. Let Congress investigate Russia meddling in our election. And let a special prosecutor run down, root out, expose and indict those in the investigative and intel agencies who used their custody of America’s secrets, in collusion with press collaborators, to take down Trump appointees who are on their enemies lists. Tags: Patrick Buchanan, conservative, commentary, The Deep State, Targets, President Trump To share or post to your site, click on "Post Link". Please mention / link to the ARRA News Service. and "Like" Facebook Page - Thanks! The Main Course . . .
. . . President Trump rips the press again. Many have waited their whole life to see somebody put the media in line the way Trump can. 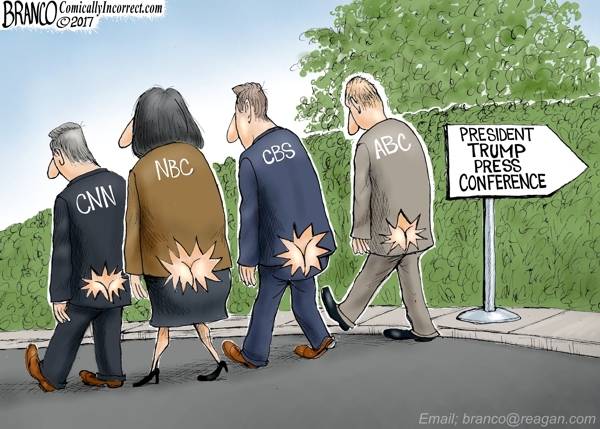 Tags: Editorial Cartoon, AF Branco, The Main Course, President Trump, rips the press To share or post to your site, click on "Post Link". Please mention / link to the ARRA News Service. and "Like" Facebook Page - Thanks! by Paul Jacob, Contributing Author: Remember the 2016 presidential election? You know, the contest that still bedevils us? The one allegedly rigged by the Russians and fake news? The one the outcome of which Michael Moore (and others) suggested, even this week, should be overturned by “the courts” simply by installing Hillary Clinton as president? The plaintiffs*** are Level the Playing Field (LPF), the Green Party, the Libertarian National Committee, and Dr. Peter Ackerman. They sued the Federal Election Commission because the FEC, as the judge wrote, “stuck its head in the sand and ignored the evidence.” Prior to the lawsuit, LPF and others had filed complaints and asked the FEC to establish fair rules. They were told to go play in — er, far away from — traffic. Under federal law, the FEC, itself organized along bipartisan lines, is charged with ensuring that the CPD is using “objective” criteria, which doesn’t arbitrarily exclude independent and minor party candidates. Now, thankfully, the court has ordered the FEC to come back, by April 3, with new thinking on how to ensure fair and open presidential debates. ** Tellingly, there’s been scant news coverage of the court decision except by IVN News, the Independent Voter Network website, and . . . RT, the Russian government’s TV channel. *** The case is Level the Playing Field, et al v. Federal Election Commission. Tags: Paul Jacob, Common Sense, Remember, Rigged Election? To share or post to your site, click on "Post Link". Please mention / link to the ARRA News Service. and "Like" Facebook Page - Thanks! by Lt. Colonel James G. Zumwalt: A brief exchange on leadership perceptions occurred in 1961 between President John F. Kennedy and Iraeli Prime Minister David Ben Gurion as they met in New York City. Late to the meeting due to a domestic political issue, Kennedy apologized explaining, "Mr. Prime Minister, you have no idea what it's like to be president of 180 million people." Ben Gurion's purported response was, "Mr. President, you have no idea what it's like to be prime minister of 2 million prime ministers!" Ben Gurion shared a reality of Israeli politics: All Israelis hold contrary opinions and assume the role of prime minister to press them forward. Obviously, such an approach to governance made life most difficult for the elected prime minister. This statement is true today about the Democratic Party leadership. No leader is without a contrary opinion to that held by our elected president and, as such, committed to making his governance most difficult. Voters not only denied Democrats the White House in the 2016 elections but also a majority in both Houses of Congress. Consequently, party leaders' actions have not only become obstructive of President Donald Trump's effective governance but destructive to our national security as well. Such leadership goes beyond politics. It encourages violence and the chaos and anarchy emanating therefrom. So committed is it to obstructing governance, the party is incapable of grasping its own hypocrisy in doing so. Newly elected presidents are normally afforded a sense of expediency and cooperation in granting congressional approval of Cabinet nominees. But Democrats have worked hard to disrupt the process. Nowhere was this more evident than Sen. Jeff Sessions' nomination for U.S. attorney general. Democratic opponents endeavored to link the senator to the Ku Klux Klan (KKK), which he denied. The effort to derail his nomination failed, despite attempts to go back decades to sling mud. While choosing to attack Sessions by reading on the Senate floor a 1986 letter written about him by Coretta Scott King opposing his nomination for a federal judgeship, Sen. Elizabeth Warren, D-Mass., demonstrated the Democrats' hypocrisy by ignoring a 2000 CNN video in which King praised him. Even Martin Luther King's niece criticized Warren for playing the race card during debate on Sessions' nomination. Most hypocritical too is the gall of Democrats making unsubstantiated, decades-old allegations against Sessions while promoting today as a candidate for the Democratic National Committee (DNC) chairmanship Rep. Keith Ellison. By his own admission, Ellison has been a recent supporter of a black extremist hate group, the Nation of Islam. That organization's leader, Louis Farrakhan, has suggested that justice for blacks calls for violence against whites. It is understandable Ellison would adhere to such hatred. After all, he is a Muslim who, as an adherent to the Quran's teachings, believes non-Muslims, just like homosexuals, are not to be tolerated. Yet, when another DNC chairmanship candidate, Vincent Tolliver, pointed out that Ellison's Islamic faith called homosexuality a crime punishable by death, thus raising the issue of his tolerance towards gays, ironically Tolliver was expelled from the race. Astonishingly, despite Ellison's negative baggage, he remains the leading contender for the DNC chairmanship position - an election taking place later this month. As one critic points out, the hatred Democrats have for Trump may well blind them to the hypocrisy of electing Ellison. The Democratic Party leadership had announced after Trump made his Cabinet nominations that it would aggressively target eight of his nominees. But it now looks as if seven of the eight will be approved. So what have the Democrats' obstructionist efforts accomplished, other than to foment anger? But such statements of support have become even more ludicrous, as evidenced by a Nevada Democratic Party field organizer who claimed "it is a violent act" to suggest protests should be peaceful! It is logic such as this, perhaps, that explains Ellison's candidacy. Meanwhile, a Florida Democratic Party representative described the liberal Berkeley rioters beating up on police and conservatives as a "beautiful sight." This representative somehow naively equated what was happening on campus as "protesting against unconstitutional order." In actuality, it was just the opposite - hypocritically, it was protesting against "constitutional" order. The actions of the Berkeley protesters and their supporters underscores the distinction between 20th and 21st century fascists - "in Germany, the fascists goose-stepped; in America, they jog." Democratic Party leaders have so politically charged the air as to invite the most reprehensible of acts by activists. In Oregon, as a Christian preacher recently espoused the word of God outside a Planned Parenthood clinic, a profane young woman attacked him, shoving a bloody maxi-pad into his face. Things have gotten so bad, lawmakers are now personally experiencing a backlash as well. Who would have thought it ever necessary to do so, but legislation is being proposed to protect people from protester violence and to force those responsible for providing security at protests to do their job. Even Chicago's Mayor Rahm Emanuel has become frustrated with his party's antics. He warns fellow Democrats they need to "take a chill pill," recognizing they won't be reclaiming national power soon and need to realize they are in it for the long haul. Hopefully this realization is accompanied with a recognition of their responsibility to help, not hinder, governance. During times of great trouble in our history, great leaders have arisen to unify the nation. Sadly, we still need to await their arrival. Tags: James G. Zumwalt, Family Security Matters, Party of Government, obstructs, Governance To share or post to your site, click on "Post Link". Please mention / link to the ARRA News Service. and "Like" Facebook Page - Thanks! by Scott Erickson: If restricting local law enforcement from cooperating with Immigration and Customs Enforcement (ICE) detainer requests is supposed to make communities safer, as some immigration advocates and law enforcement officials suggest, I’d like to hear them reconcile their beliefs with the actions of Texas’ Travis County Sheriff Sally Hernandez. Hernandez, sworn in as the newly elected head of the Travis County Sheriff’s Department last month, almost immediately adopted an anti-cooperation policy prohibiting her department from honoring nearly all ICE detainer requests. “The public must be confident that local law enforcement is focused on local public safety, not on federal immigration enforcement,” Hernandez said. 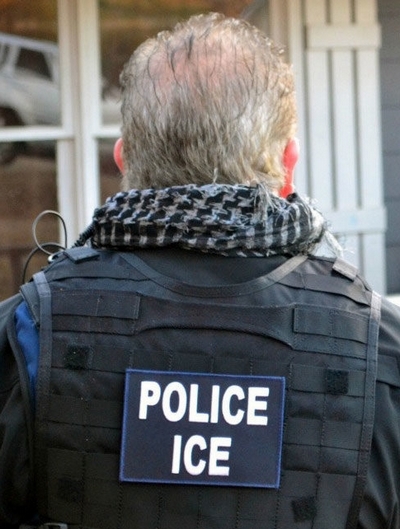 Detainer requests are notices sent by ICE to local jurisdictions informing them of its desire to take physical custody of an individual in local custody. The sheriff’s new policy stipulated that only four exempted crimes—murder, capital murder, aggravated sexual assault, and human trafficking—would be grounds for her department to honor an ICE detainer. Unfortunately for the alleged victim of Hugo Javier Gallardo-Gonzalez and the community at large, accusations of repeatedly sexually abusing a child did not meet the criminal standard for ICE cooperation set by the sheriff. Gallardo-Gonzalez was arrested this past Sunday, accused of sexually assaulting his girlfriend’s young daughter beginning in 2014. The abuse is alleged to have continued for over a year. Immigration and Customs Enforcement submitted a detainer request to the Travis County Sheriff’s Office in order to take custody of Gallardo-Gonzalez, but their request was denied. Gallardo-Gonzalez subsequently made bail the next day and is now waiting to be released once outfitted with a GPS monitor. The decision by Hernandez to deny the ICE detainer request was reckless and borders on malfeasance. Whose well-being is served by the decision to dismiss this ICE detainer request and release into the public an individual accused of a particularly heinous crime? Is the public safer as a result? Is the community of illegal individuals safer? The answers to those questions seem clear enough. No one, save perhaps the accused man, is better off for the decision by the sheriff to deny assistance to ICE. But this reality doesn’t conform to the narrative repeated by many that suggest law enforcement cooperation with federal immigration authorities hurts public safety and erodes police and community relations. But a 2014 draft study conducted by ICE doesn’t support the mayor’s notion that sanctuary cities have no impact on crime. 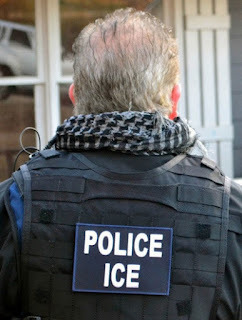 The study found that during the observation time frame (January 2014 to August 2014), 8,145 individuals were released from jail after arrest due to their respective jurisdictions declining an immigration detainer request from ICE. Of the 8,145 individuals released, 1,867 were subsequently re-arrested a total of 4,298 times and accumulated a staggering 7,491 charges. So much for the argument that sanctuary cities have no impact on crime. The notion that local law enforcement cooperation with ICE will somehow also destroy police and community relations—specifically relations between the police and communities of illegal immigrants—is tenuous. No community of decent people—citizens, illegal immigrants, or otherwise—wants to live in a society beset by violence and social dysfunction. Stripping local law enforcement of the ability to merely cooperate with their federal counterparts on issues as plain as the removal of a dangerous criminal jeopardizes the safety of all law-abiding individuals. Hernandez and her refusal to cooperate with ICE on the removal of an individual accused of sexual assault against a child demonstrates the absurdity of those devoted to a dogmatic faith in sanctuary cities. Clarity and perspective should rule the day, especially when public safety is at stake. Tags: Sanctuary Cities, Crime Rates, Scott G. Erickson, The Daily Signal To share or post to your site, click on "Post Link". Please mention / link to the ARRA News Service. and "Like" Facebook Page - Thanks! Trump, Netanyahu Seek Common Ground . . .
. . . Iran emerges as a central uniting issue. by P. David Hornik: At Wednesday’s White House press conference for President Donald Trump and Prime Minister Benjamin Netanyahu, both leaders clearly had a lot on their minds—in addition to the matters at hand. P. David Hornik is a freelance writer and translator living in Beersheva and author of the book Choosing Life in Israel. His memoir, Destination Israel: Coming of Age and Finding Peace in the Middle East, is forthcoming from Liberty Island later this year. 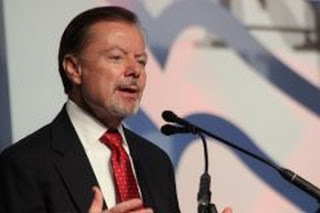 He writes for the David Horowitz Freedom Center's Front Page Mag. David Horowitz is a Contributing Author at the ARRA News Service. Tags: President Donald Trump, USA, Prime Minister Benjamin Netanyahu, Israel, common ground, P. David Hornik, FrontPage Mag, To share or post to your site, click on "Post Link". Please mention / link to the ARRA News Service. and "Like" Facebook Page - Thanks! to his being the left's poster boy. by Gary Bauer, Contributing Author: How Crazy Are Things? We've warned you before, but from this moment on everything you read in the mainstream press or watch on the evening news should be viewed very skeptically until you get confirmation from a source you trust. The left is resorting to non-stop fake news to undermine the trust of the American people and scare weak-kneed Republicans on Capitol Hill. Here's the latest example: Last night a story broke suggesting that the intelligence community was so convinced that President Trump was compromised by Russia, they were withholding intelligence information from him. Rush Limbaugh said that he went to bed thinking a coup was taking place. Then he re-read the report this morning and realized it was just another example of fake news. Here's the headline from the Wall Street Journal: "Spies Keep Intelligence From Donald Trump on Leak Concerns." Again, it is absolutely essential that you read more than just the headline. Here's the key paragraph of the report:"Intelligence officials have in the past not told a president or members of Congress about the ins and outs of how they ply their trade. At times, they have decided that secrecy is essential for protecting a source, and that all a president needs to know is what that source revealed and what the intelligence community thinks is important about it. "In other words, it's not unusual for the intelligence community to withhold information. The report also notes that intelligence agencies have been asked to "pare down" the information sent to the White House, so obviously they are having to be more selective in what they give to the president. But if you are a blue collar worker or a busy mother in the heartland of America, it's unlikely that you are delving deep into these kinds of stories. The headlines alone can be at best deceiving or at worst fake news. The President Responds - President Trump held a press conference today at the White House. The president announced his new nominee for secretary of labor and made a few introductory remarks. 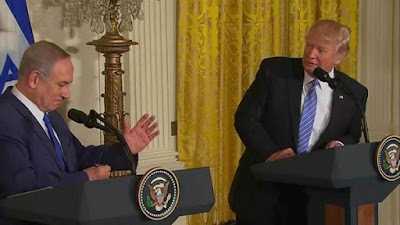 Before he took questions from reporters, President Trump said he was speaking directly to the American people because "many of our nation's reporters will not tell you the truth, and will not treat the wonderful people of our country with the respect that they deserve." Then he opened up with both barrels. Here are some excerpts of the president's remarks:"Unfortunately, much of the media . . . speaks not for the people, but for the special interests and for those profiting off of a very, very obviously broken system. The press has become so dishonest. . . The level of dishonestly is out of control. "I ran for president to represent the citizens of our country. I am here to change the broken system so it serves their families and their communities well. I am taking on this very entrenched power structure. . . As a result the media is going through what they have to go through to distort. . . but we're not going to let it happen. . ."President Trump said reporters should be ashamed of themselves for publishing classified information. He blasted the media's obsession with Russia as "fake news," denounced the Wall Street Journal story as "disgraceful" and condemned the hateful tone in much of the press. McMullin Goes To War - Remember Evan McMullin? Washington establishment insiders pushed McMullin as a third party alternative to Hillary Clinton and Donald Trump. McMullin claimed that he would rebuild the Republican Party after Trump's loss. Well, Trump didn't lose and now Evan McMullin is going to war against the Trump Administration. Yesterday morning, McMullin, who once worked for the CIA, tweeted: "By oath, intelligence officials' first duty is to 'defend the Constitution of the United States against all enemies, foreign and domestic..."
Later in the day, he went on the "Clinton News Network," aka CNN, and said that some in the intelligence community believe that "Donald Trump presents a threat to the country because of his -- what they see as his relationship with Vladimir Putin." McMullin made his outrageous comment without offering even a shred of evidence. If anyone in the intelligence community has real evidence that the president or someone close to him has been compromised, they should boldly step forward and present it to the American people instead of leaking incomplete information to left-wing reporters. 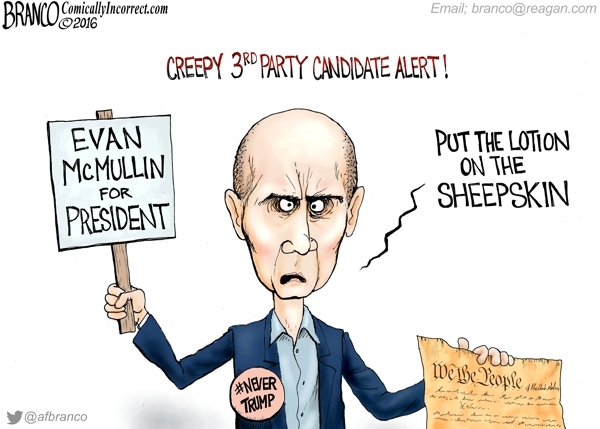 Does Mr. McMullin have information that the rest of us do not have? Does he know that the leakers are legitimate members of the intelligence community -- career analysts or covert agents -- versus political hacks? Is McMullin involved in an effort to overturn and invalidate the last election? Evan McMullin abandoned his party. He has forfeited any right to be involved in any effort to rebuild the GOP when he is making common cause with a left-wing narrative promoted by people who have been weak and ineffective in confronting Russia for the past 40 years. By the way, does McMullin recall that Hillary Clinton greased the skids for a deal that allowed the Russians to gain possession of 20% of our uranium reserves? President Trump brought this up at his press conference today. That uranium sale was something tangible that the Obama Administration and Clinton Foundation did that had real results for Russian military strength. No one in the mainstream media was interested, and no one suggested that Hillary was compromised or co-opted in any way. And yet we're supposed to think that Michael Flynn talking to the Russian ambassador is a threat to national security. What should scare Americans more: That Russian hackers released emails from the Democrat National Committee, all of which were real messages -- no fake news there -- that exposed embarrassing conversations between leading Democrats? Or that people embedded in the most important intelligence areas of the country are trying through anonymous leaks to overturn a fair and legal election? I don't think it's a close call. Tags: Gary Bauer, Campaign for Working Families, Getting Crazy, Trump Responds, Evan McMullin, Goes To War To share or post to your site, click on "Post Link". Please mention / link to the ARRA News Service. and "Like" Facebook Page - Thanks!